From the end of 2016, PHP 5 has been in “security only” updates, and by the end of 2018, it will not even receive those. To keep your website secure, you should get it upgraded to be PHP 7 compatible as soon as possible. Most recent PHP code can move straight from PHP 5 to PHP 7 with very little modification, meaning that it can smoothly transition to newer, better, faster, and more secure servers. There are a number of things that have changed between PHP 5 and PHP 7, however, which makes a quick upgrade less possible. If your website is older than 5 years, there’s a very high chance that it will not run on PHP 7 without major changes. While PHP 5 has done the world very well for a long time (it was first released in 2004), there were a large number of bugs and security holes that just came with the language. Over the past 12 years it has grown and evolved, becoming one of the most used programming languages on the web. PHP 7 has been built to make massive improvements to security and speed, meaning that PHP software can power forward into the future. If you don’t upgrade from PHP 5, your software will be vulnerable to security holes and hackers. While security updates will continue to happen until 2019, hackers won’t stop when the updates do. Upgrading to PHP 7 is the only way to ensure that your software can keep up to secure well into the future. As PHP 5 gets phased out, it will be more difficult and more expensive to find anywhere to host your software. Cheap web hosts will upgrade to keep their servers secure, which may make your website stop working unexpectedly one day. More expensive hosts may charge a premium to support the older software, as it opens up security holes on their hardware. Upgrading to PHP 7 will ensure that you have a choice of hosting options at competitive prices. When you want a new feature, or a bug fixed in the future, it will be harder and harder to find anyone who can help you out. PHP developers all over the world will upgrade, third party software will slowly become incompatible with PHP 5, and the cost of adding a small feature will grow exponentially. Upgrading to PHP 7 will ensure that your software can continue to receive updates, bug fixes, and new features. PHP 7 is fast. Really fast. In most cases, the exact same code will run 30%-50% faster on PHP 7 than PHP 5. This means that your customers are waiting less, and ordering more. Even half a second in each page load can make the difference between your customer recommending your business to their friends, or leaving your site without buying a thing. An upgrade to PHP 7 can get you a faster website, and a higher conversion rate. A number of features in PHP 7 have been set up and designed to help make your code more secure. While some of these features have been available in PHP for many years, most old PHP code does not use them, leaving your software vulnerable to attack. Upgrading your site to PHP 7 will enable these features, making your customers and your business safer. Determined Development are experts at getting old sites up to date with new standards. 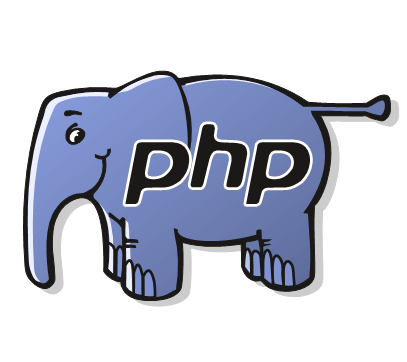 We can audit your software, and assess the steps required to make you PHP 7 ready. Whether you have your own development team, or want us to upgrade your software, Determined Development can get you business upgraded and secure.